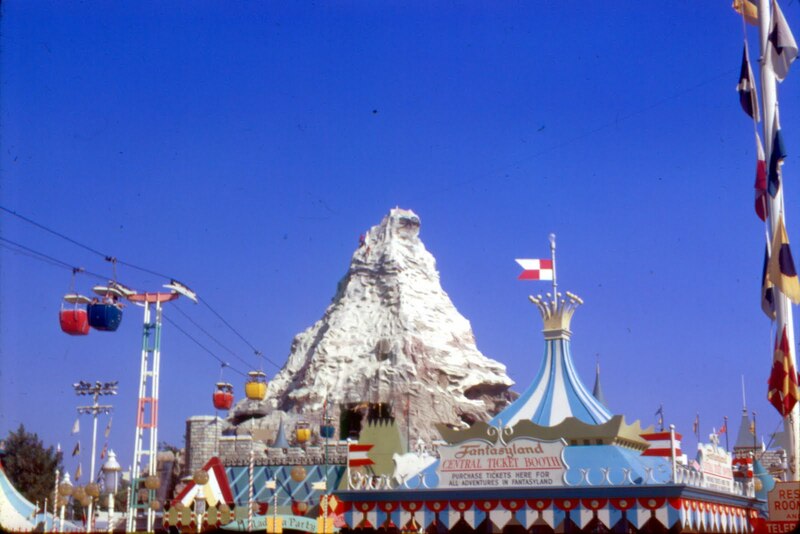 Time for a few Vintage Disneyland Slides. 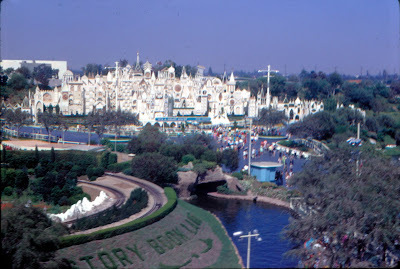 While I do love looking at vintage slides, I’m not so good at scanning them. I’m convinced slide scanning is an art form. 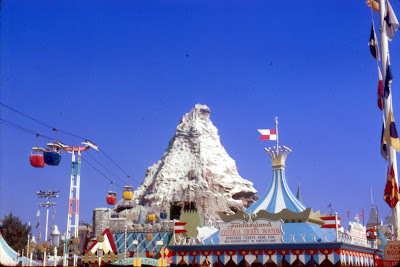 This set from April 1968 came out pretty good; the color is vivid in this first one. Nice Ticket booth!!! This one is a bit blurry (or is it just all that slurry?) It does give a nice overview of this area of the park. The Ernest S. Marsh appears to be in motion in this awesome blue sky shot. Come back tomorrow for a couple of slides from July 1969. You did a very nice job of scanning these! That first one is especially great. 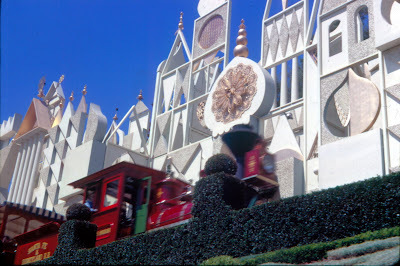 I always love looking at pictures of "it's a small world" and the surrounding area before it was redone with the Mattel toy shop and the terrace parade viewing. So wonderful. These are really poignant for me. Thank you so much.